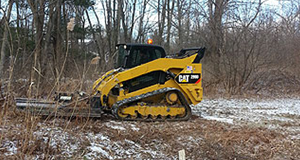 Since 1987, Blue Diamond has been providing professional septic pumping services in Upstate, NY including the Capital District and surrounding areas. We’re a family-owned and operated company that not only specializes in septic pumping, liquid waste hauling and trucking services but in excellent customer service that you won’t find anywhere else. When you’re in need of high-quality liquid waste and septic inspection services in Albany, NY and the Upstate region, call on Blue Diamond. Safety and service are our top priorities at Blue Diamond and that’s why it’s vital to bring in the experts when your septic tank needs servicing, or you need liquid waste water hauled. We offer our services in Upstate, NY and surrounding areas. At Blue Diamond, we know how important it is for us to act quickly when our clients contact us for septic pumping services in Albany, NY. We’ll respond to your calls to handle your needs and evaluate your septic system in a timely fashion. We make it our goal to keep your property clean and ensure that your yard looks the way it did when we arrived. 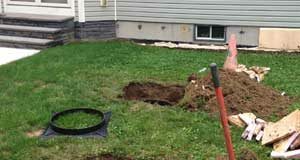 Whether you are looking for septic pumping or realty septic inspection services in Albany or the surrounding Upstate New York area, you can trust us to get the job done right. Call Blue Diamond at 518-767-9322 today to take advantage of our services. If your septic system breaks down, it can be quite messy. Hire professionals to do the dirty work for you. Safety is our 1st priority. 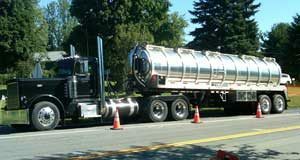 We'll haul your sludge to one of our many licensed disposal and treatment plants.